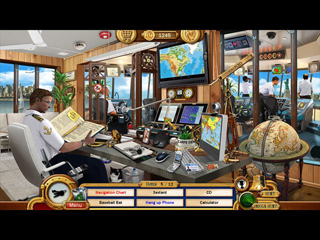 Vacation Adventures: Cruise Director 4 Game - Download and Play Free Version! Arrange fabulous excursions in the Caribbean, Europe, Mid-East and Asia. Visit famous tourist sights and landmarks in cities such as London, Venice and Monte Carlo. Enjoy Pacific and Atlantic highlights, spend a while relaxing in the Seychelles and Maldive Islands. Travel across mainland China to see the Terracotta Army, transit the Suez Canal. Help passengers with cabins, shopping, dining, leisure on ship and at ports of call along the way. Collect souvenirs of the cruise. Look for hundreds of hidden objects, items lost by passengers, trash for recycling. Play superb mini-games, earn merit badges for your achievements. 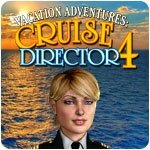 Vacation Adventures : Cruise Director 4 guarantees truly captivating, hour upon hour gameplay for families and all ages to enjoy.